Electronic payment methods have been around for a while and we have learned to appreciate their convenience. 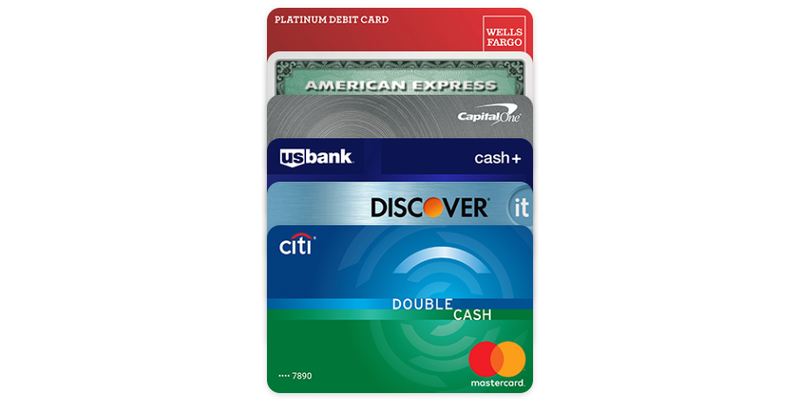 A credit card is lighter and more practical to carry around than cash, not to mention hassle-free experience. If we really think about it, since these payment methods are completely digital, we could take the plastic cards out of the equation. Paying with our smartphones has always been fascinating, and now it has become reality. Several options have been launched on the market, but it seems that Google is doing it better. 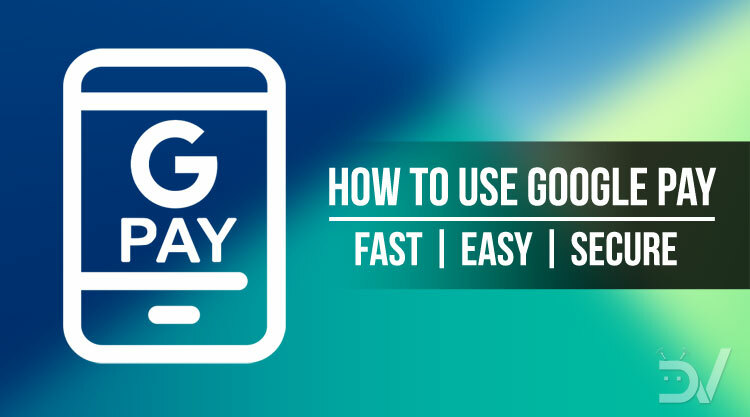 In this detailed Google Pay tutorial, we’ll discuss its features and show you how you can set up and use Google Pay on Android for easier, faster and secure payments. 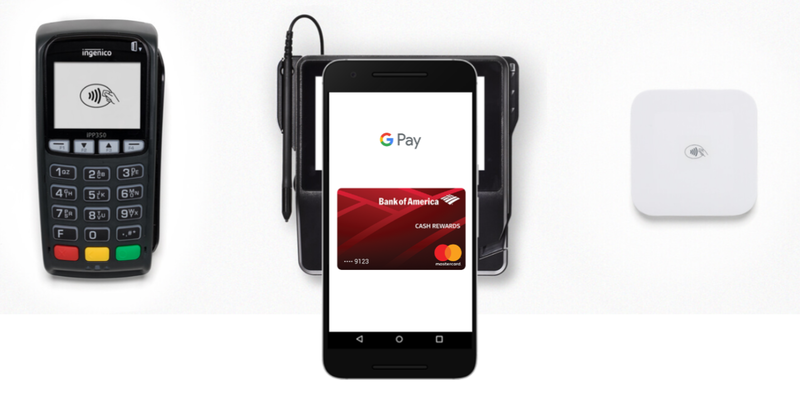 Google Pay is a wallet, a credit/debit card, a payment history book, and much more. Google has launched this app as a successor to Android Pay and Google Wallet. Although Apple Pay and Samsung Pay offer a similar service, they’re only available with the respective manufacturers. 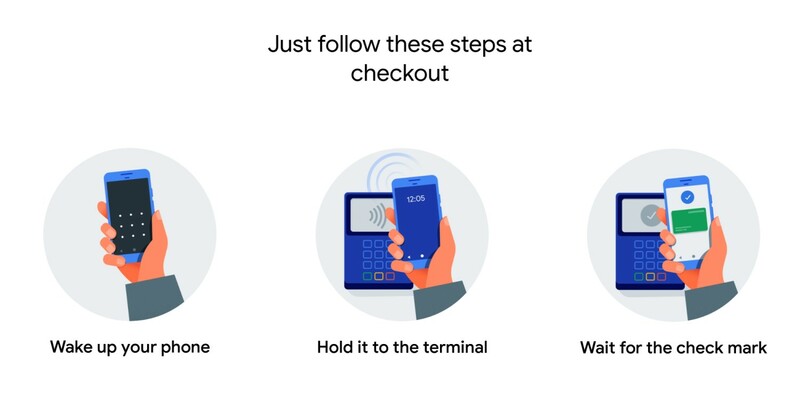 On top of that, Google Pay includes some extra functionality, which makes the experience more complete and convenient. 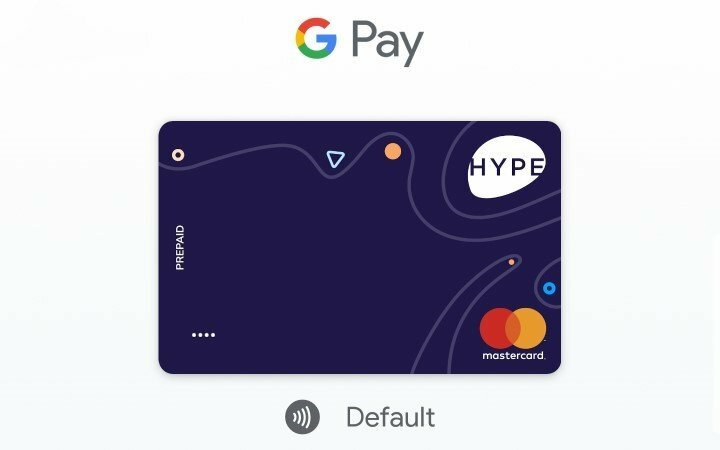 Google Pay stores your credit cards, debit cards, coupons, and tickets, just to mention some examples. Your Google account automatically synchronizes everything, so your data remains safe on a Cloud storage. Additionally, when you use it for payments, the app doesn’t share the card number to protect you from potential frauds. We’ll explain all the features in depth in just a moment. First, let’s see how to install it and where you can use it. Google Pay is compatible with most Android devices, the main requirement is running Android 5.0 or newer. You’ll also need an NFC chip for the in-store payments, but this shouldn’t be a problem on any modern smartphone. If your device doesn’t have one, you’ll still be able to use the app online with supported services. The app is free to download, we’ll leave the Play Store link below. In case you’re unable to install it, your country may be unsupported at the moment. Also, keep in mind that, for security reasons, the app won’t start on rooted devices. Once you have it on your smartphone, the setup process is very simple. First of all, you’ll see a quick guide to get familiar with the main features. Then, you’ll need to log into the Google account of choice. Lastly, you’ll have to confirm the screen lock, or add a security measure if you don’t have one. That’s it, you’re ready to use the app. Google Pay is still in its early stages and the availability varies depending on the country. At the time this article is published, the service is available in 25 countries for in-store payments. Instead, online payments are currently supported in 73 countries. Additionally, some other services are being tested in a few countries. For the specific information, we recommend checking the official availability page. There is a separate page for in-store payments, which also shows the supported banks. Note that, even though it’s not listed, India is partially supported depending on the stores. Its availability will be widely expanding in the next months, even though the process is not simple. Whenever Google wants to bring it to a new country, the new payment method has to be approved by the government. Additionally, each individual bank has to sign a contract with Google, which explains why not all banks are supported. 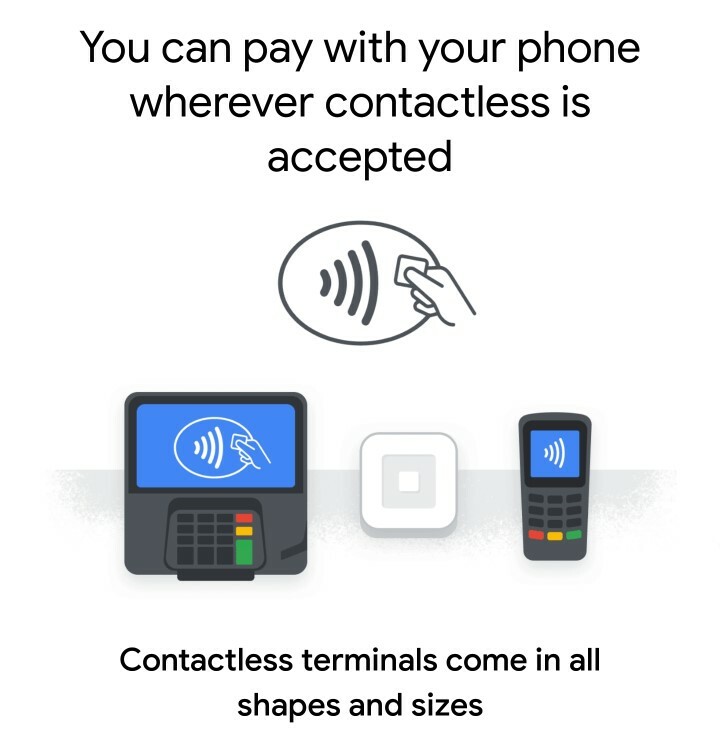 It’s important to mention that Google Pay can be used as a contactless card. The reason why this is relevant is that you’re not restricted to the certified shops and services. In fact, the NFC chip in your phone can be used to emulate your plastic card. While this does not guarantee full compatibility with all readers, it gives you enough confidence to try it anywhere. Of course, in case the service isn’t supported in a country, this feature won’t work. You’ll usually see a badge like the ones below in Google Pay certified places. 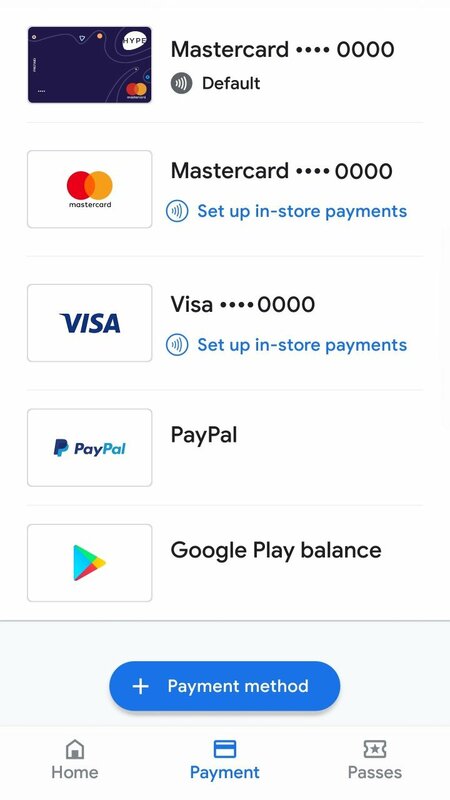 Whenever the Google Pay one is missing, it means that the store doesn’t officially support it. However, since this app can emulate your physical cards, most of the times the contactless badge will be enough. Keep in mind that not all payment methods are available for in-store purchases. In order to be sure, check the supported banks on the official page. When it’s time to pay, just position the back of your phone close to the reader and you’re ready to go! If you have selected a preferred card, you won’t even need to launch the app when you pay. When the card is detected, just confirm your code, pattern or biometrics and the transaction will be authorized. You can use Google Pay online on selected apps and services. The process is very similar to in-store payments, you just need to select the card and authorize the transaction. This option offers more freedom since it will work with basically any payment method enabled for online use. 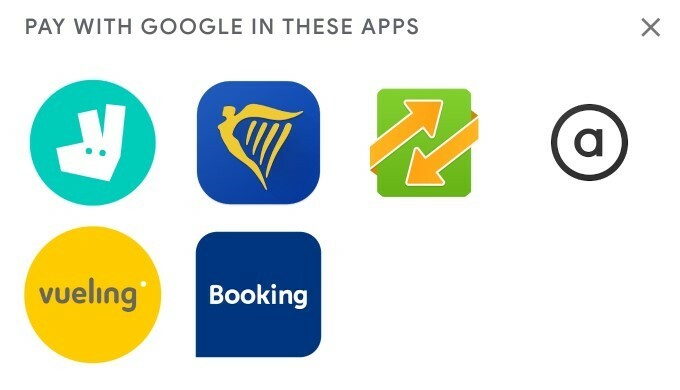 The home page of your Google Pay will provide a list of all compatible apps. You can also access this information from the Where to Use page. How to manage payment methods? The Payment section in your Google Pay app allows you add, remove and manage all your options. 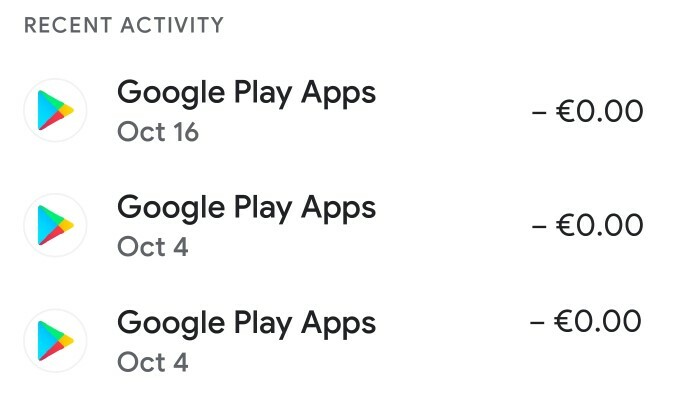 You should immediately see the Google Pay balance, that you can use to purchase apps and other digital content. If you have already added a debit or credit card to your Google account, you will also see it here. Keep in mind that, by default, previously added cards won’t be enabled for in-store transactions. If the bank which issued the card is supported, you’ll be able to enroll the functionality by confirming some information. In order to add a new payment method, you’ll need to click on the plus button and type the card number. If the card uses an NFC chip, the app can scan it without inserting the data manually. In case you try this with an unsupported contactless card, the app will let you know that it’s unreadable. Additionally, it’s possible to configure a PayPal account; however, most countries don’t support it for in-store purchases. When you add multiple payment methods for in-store transactions, you’ll have the option of choosing the default one. This way, when you pay, the app will automatically pick that one unless you select another card. One of the most useful features Google Pay offers is a precise payment history. You’ll be able to see the most recent purchases on your homepage or go into the full activity logs. Clicking on a purchase will show all the associated details, including some info regarding the seller. Additionally, you can see the history of each individual payment option, so it will be easier for you to keep track of your expenses. Another interesting feature is the ability to remember coupons and loyalty cards for supported stores. This way, whenever you’re shopping in a familiar place, the app will remind you about any discounts or bonuses. If the store offers that option, Google Pay will also track any cashback opportunities. Lastly, there’s a feature which tracks your subscription services that require a recurring payment. While the app will remind you of those, the complete list is currently only available from the web app. Last but not least, we’ll mention some more awesome features that Google Pay offers. Most of them are only available in a few countries and you can consider them experimental. However, it still may be useful to know them for future reference, we never know when they will reach us! First of all, Google Pay allows you to send money to another person. It’s much faster than a bank transfer and more practical than cash. The only thing you need is the recipient’s phone number or e-mail address, Google will take care of everything else. This service is currently available in the US and the UK. Secondly, you can request money to another person or split a payment. With the first option, you can receive some money that you’ll find in your account. Instead, the second option allows you to ask other people to contribute to a payment. Everyone will see this payment in their history and you’ll be able to check if someone owes you any money. Lastly, we have transit tickets management. This option allows you to simplify your commutes without the hassle of carrying around any tickets. The support will depend on individual city and the respective public transportation services. For the moment, you can use it in Chicago, Las Vegas, London, and Portland.